Recent public discussions about anything Singapore has been mired by a series of bad news – escape of number one terrorist Mas Selamat, Lehman Brother minibond fiasco, influx of foreigners, public transport woes, escalating costs of living, lay-offs by government linked companies, debacle of the Singapore Flyer, massive losses suffered by Temasek Holdings and GIC. Consequently, online comments by Singaporeans on TOC and other online forums and blogs, and even forum letters to the press, have reflected worsening negative sentiments as well as cries for greater accountability and transparency. Yet in the midst of all these, supporters of the PAP and the government have also voiced out to back their leaders. Trust our leaders, they say. They know what they are doing. They are the best talents we have. Indeed the Singapore political and civil service system has prided itself on its talent-selection system, whereby only the academically brightest crème de la crème scholars are chosen to be decision-makers. This system of meritocracy, as widely recognised, is based on imperial China’s Confucius elitism, which chose, through a series of examinations, only men of the highest moral and scholarship standings to serve in the bureaucracy. For many of us, 21st century English-educated Singaporeans, Confucianism itself is an alien theme. To discuss the strengths and shortfalls of its underlying philosophy and systems will be even more daunting. We can however, draw from the wisdom of others more familiar with the subject. 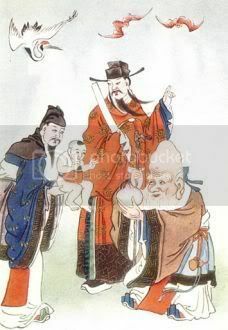 The Confucian system assumes every ruler to be a gentleman and proceeds to treat him like a gentleman. The legalist system assumes every ruler to be crooks and proceeds to make provisions in the political system to prevent him from carrying out his crooked intentions. Obviously the first is the traditional view, the second the Western view, and also the view of Hanfeitse. As Hanfeitse says, we should not expect people to be good, but we should make it impossible to be bad. That is the moral basis of the legalist philosophy. In other words, instead of expecting our rulers to be gentlemen and walk in the path of righteousness, we should assume them to be potential prison inmates and devise means to prevent these potential convicts from robbing the people and selling the country. One can readily see that the latter system is more likely to be effective as a check for political corruption than waiting for a change of hearts in these gentlemen. And any thinking student of Chinese history should have observed that the Chinese government a la Confucius with its tremendous moralizing has always been one of the most corrupt the world has ever seen. The reason is not that Chinese officials are any more corrupt than Western ones. The plain, inexorable political and historical truth is that when you treat officials like gentlemen and nine-tenths of them will turn out to be crooks; but when you treat them like crooks with prisons and threats of prisons, as they do in the West, considerably less than one-tenth succeed in being crooks and fully nine-tenths of them succeeded in pretending that they are gentlemen. As a result, you have at least the semblance of a clean government. That semblance is worth having. Needless to say, the intent of this article is not to accuse our government of being corrupt. While the context of China in 2nd century BC and the 1930s is certainly very much different from Singapore 2009, the similarities in the trust that the Chinese had in the moral uprightness in Confucius officials and many Singaporeans’ faith in the capabilities of our elite scholars are uncanny. It took much humiliation inflicted by the Western and Japanese imperialist powers at the turn of the last century before China learnt to shed its old dependency on the scholarly class to shape its future, even though it continues to come to terms with corruption under “benevolent” leaders. I certainly wish Singapore will not have to undergo the same tumultuous experiences before we accept that all our leaders, elite scholars or otherwise, need to be intensely scrutinized and constantly made accountable. Assumed guilty, until proven innocent. Assumed lousy, until proven successful. Not the preferred philosophy for the idealists or romantics. But we know this is often brutally effective, because common Singaporeans have through our lives been judged in the same manner by the authorities through streaming in the school system, job interviews, government aid applications, appeals against fines etc. Pure gold is obtained when refined under fire to remove unwanted dross.